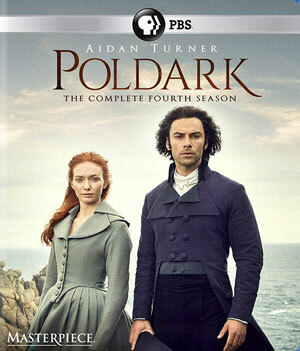 PBS Distribution has just added Poldark: Season 4 to the roster, releasing the acclaimed Masterpiece television show on Blu-Ray Disc and DVD in November. 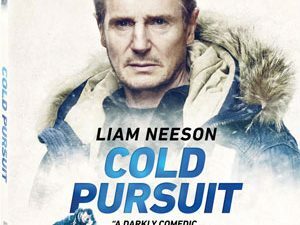 Arriving on three discs, the release will feature all episodes that make up the fourth season, with a running length of 464 minutes. This season takes us to 1796. To defend Cornwall and those he loves from an empowered George, Ross (Aidan Turner) must play the political game on a journey that takes him to the nation’s capital and into new perils. No information has been made available about possible bonus materials, but if the release follows the template defined by previous releases, you will most likely find a few short behind-the-scenes vignettes on the disc. Poldark: Season 4 is scheduled for release on November 6 with a $54.99 price tag for the Blu-Ray version and $44.99 for the DVD version.